Kangana Ranaut Gets Furious During An Ad Shoot :Kangana Ranaut Gets Furious During An Ad Shoot March 2, 2016 SHARE tweet Kangana Ranaut who is known to be a fearless actress, was seen lashing out in her vanity van during an ad shoot. 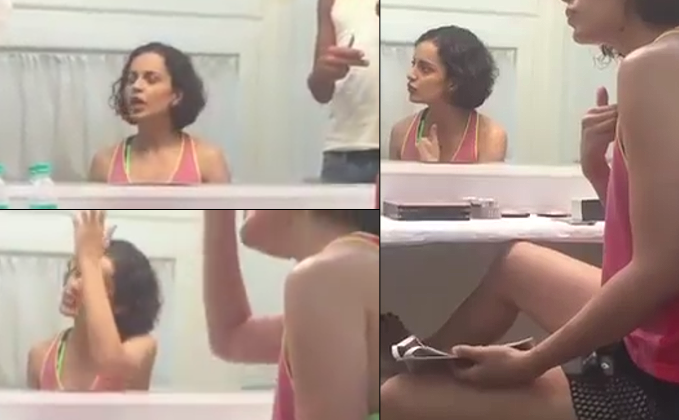 Here’s a leaked footage of Kangana that has found its way online and went viral! The video features Kangana on the sets of an ad shoot, when she suddenly loses her cool and gets furious at one of the crew members. As per the sources, the leaked video might be recorded on the sets of Rangoon or for an ad shoot. However there is no confirmation of that! 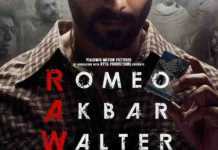 Kangana will next be seen with Shahid Kapoor and Saif Ali Khan in Vishal Bhardwaj’s Rangoon.